On the road toward the Mindeli mine, construction workers attempt to fix a recent sinkhole. The town is full of roads in need of major repair. Guja Sapanadze and his son, Onise, on the balcony of their apartment in Tkibuli. Guja worked at the mine for 19 years before suffering a heart attack. His son still works there. The entrance to the Dzidziguri mine sits at the top of a hill in Tkibuli. Guja’s lada is parked in front. Workers at the Dzidziguri mine weld outside the entrance to the shaft. Workers at the Dzidziguri mine. An elevated tunnel leading to the the entrance of the Mindeli mine. The mine remains closed. Pirus has worked in the Dzidizguri mine for 25 years. An aerial shot of Tkibuli, Georgia. 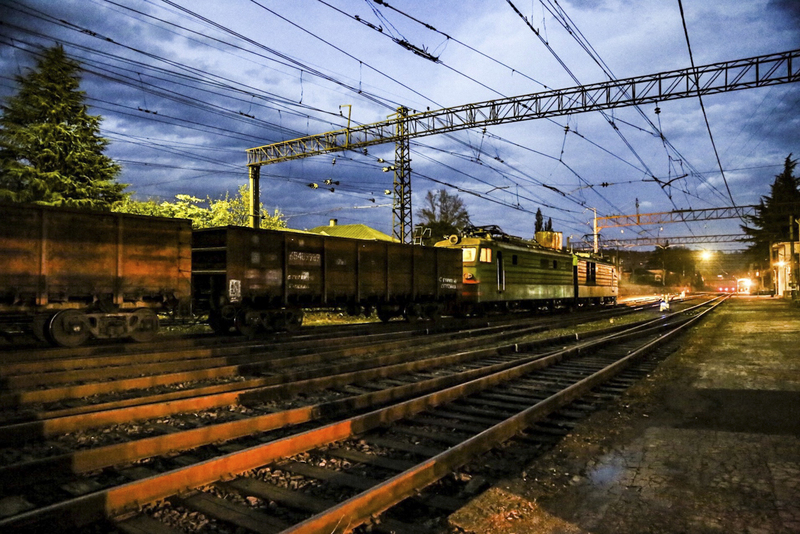 The Zestafoni railway station serves as a transport point for shipping coal to the east and west. Life in Tkibuli was once predictable and comfortable. The Soviet state provided everything residents in the lush, tea-growing hills of western Georgia needed: healthcare, entertainment, education, and a guaranteed job digging coal. 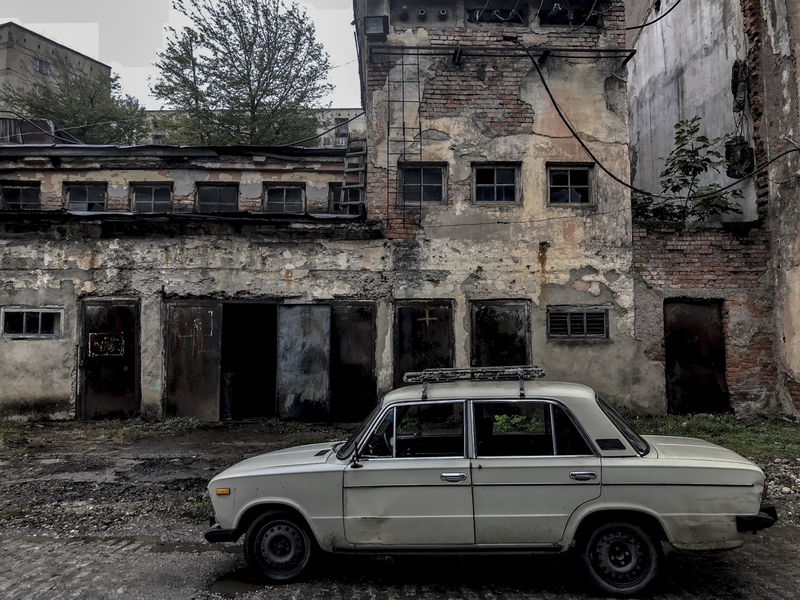 But, as in other monotowns where life once revolved around a single industry, Tkibuli has suffered rapid decline since the Soviet Union collapsed. Some of the mines around Tkibuli still operate, but have been plagued by fatal accidents in recent years. At least ten workers have been killed in the past year alone. After the most recent deadly accident, in July, the government shut down Tkibuli’s two remaining mines, Mindeli and Dzidziguri. 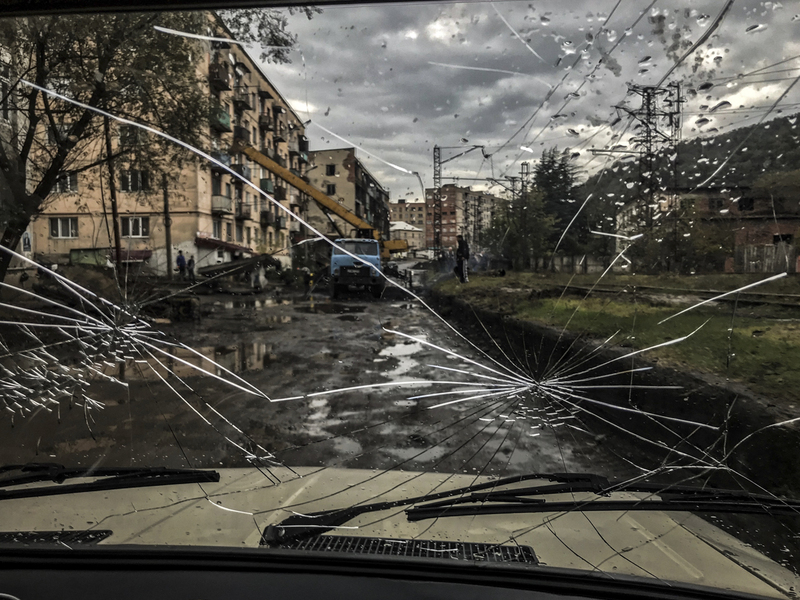 In August, seven individuals connected with the company that runs them, Saknakhshiri, were arrested for operating the mines despite known dangers. 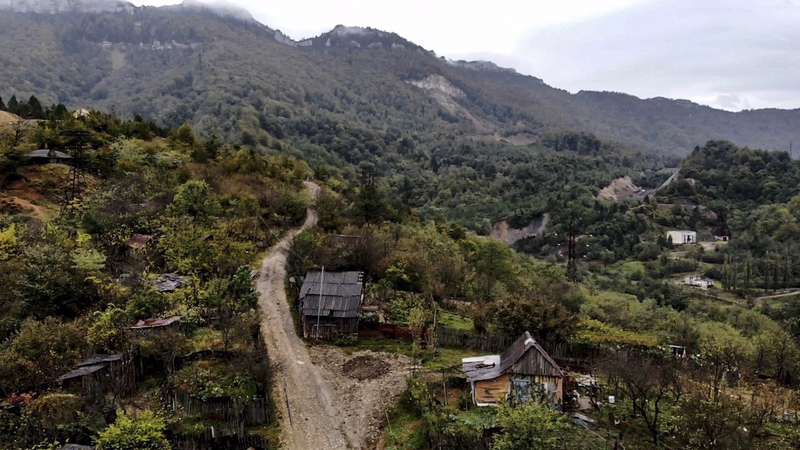 "If the mines don’t reopen, the whole town will be left with no other source of income and people will have to leave," says Pirus, who has worked for 25 years in the mines and declined to provide his surname, fearing he could be sacked. Pirus and his colleagues wait. Some perform maintenance. Many on site are afraid to talk openly about the situation. Saknakhshiri is a subsidiary of Georgian Industrial Group (GIG), a holding company that is 100-percent owned by the Marshall Islands-registered Chemexim International. Saknakhshiri says it is paying its workers while it negotiates with the government. Authorities expect the results of an investigation to be released next month. 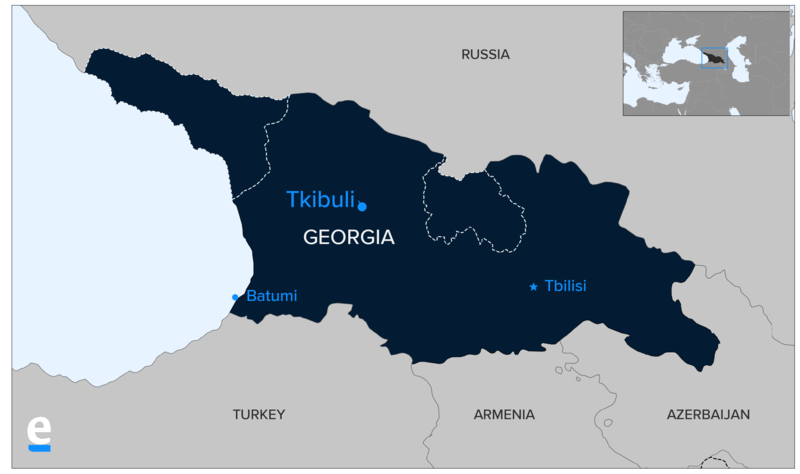 Tkibuli’s coal deposits were found in the early 1800s, but mining was sporadic until the Soviet Union ramped up production. By the 1950s, Tkibuli was churning out millions of tons of coal per year. Then mining largely came to a halt after the Soviet collapse. 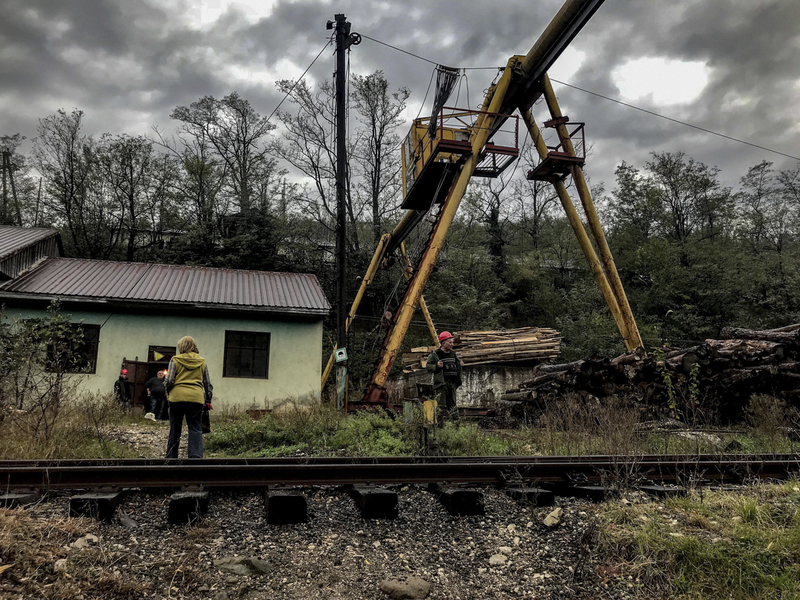 In 2006, Saknakhshiri took control and today the Tkibuli mines, which hold about three-quarters of Georgia’s coal reserves, employ about 2,000 people. Workers earn between 800 and 1000 lari per month ($325-410), a mid-range salary in Georgia. When the mines are open, they work six-hour shifts, 300 meters down in the shafts, four days on and two days off. Deep in the mines, when an accident happens, it can take hours for help to arrive. 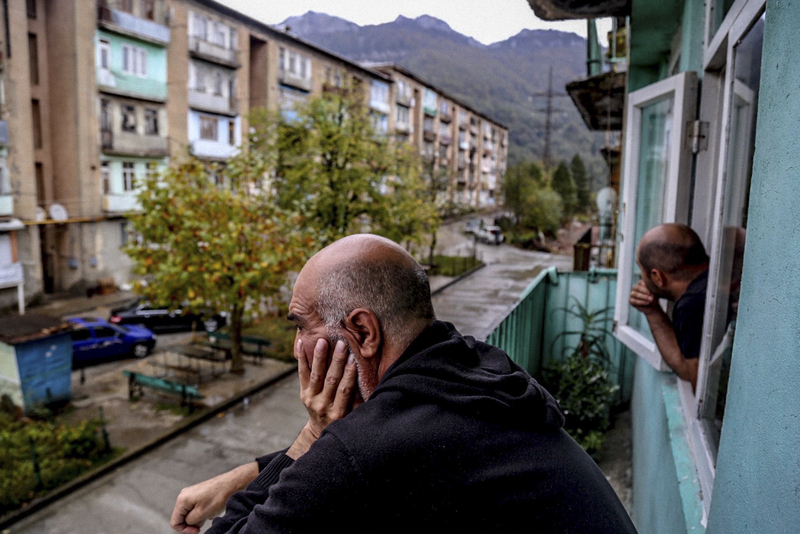 Guja Sapanadze, 53, estimates that more than half of the men in Tkibuli dig coal. His family has worked for several generations in the mines; today his two sons and uncle are miners. But he was forced to quit a few years ago, after 19 years, due to heart and lung problems. 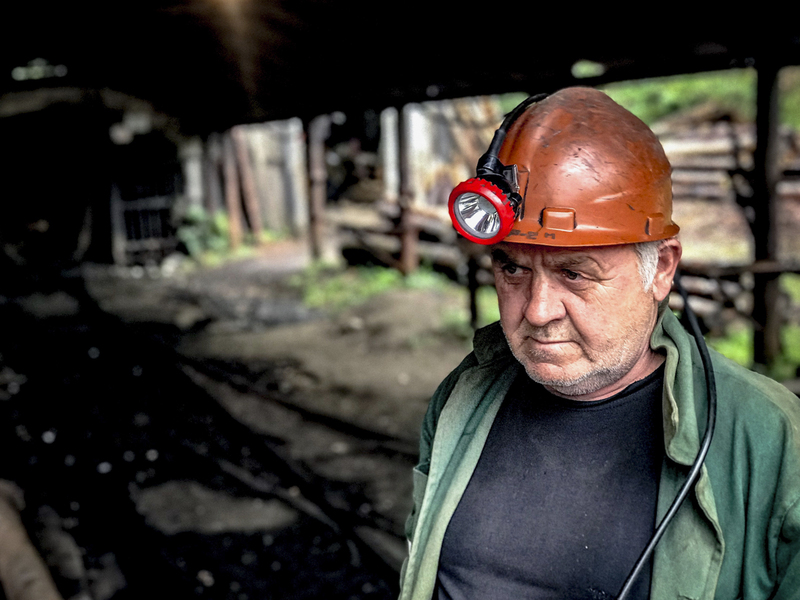 Because he didn’t make it to retirement age, he receives only a partial pension: 100 lari ($40), instead of the 175 lari ($70) miners receive at age 65. “It’s not enough to live on,” he says. He supplements his income driving miners between the two sites. 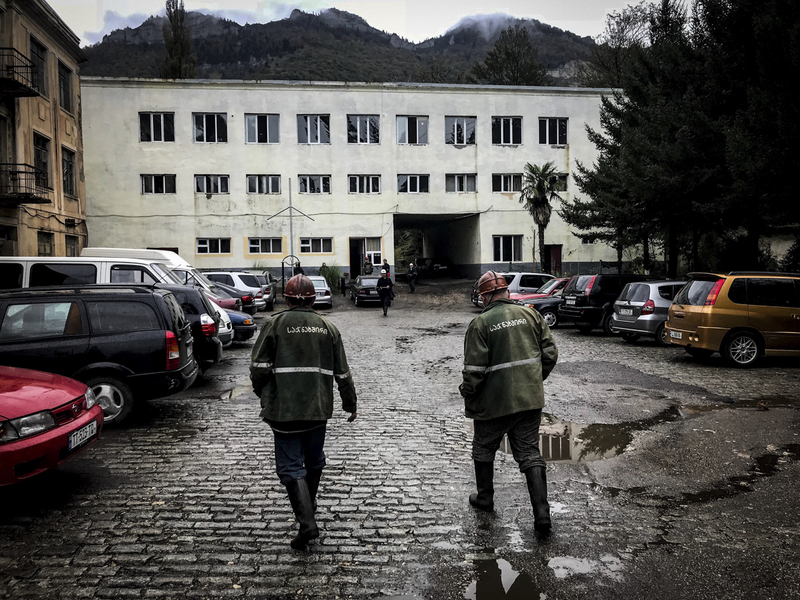 During a recent tour of the entrance to the Dzidziguri mine, workers voiced concerns about safety and a lack of trust in their employer, which is overseeing repairs. “We are scared to enter the mine, but we are also terrified of it permanently closing. There's nothing else here,” says one man, who declined to provide his name. In March, bowing to local pressure, parliament passed a law obliging stricter oversight of safety conditions, but workers say they don’t see any changes. Keeping the mines afloat is a new customer. 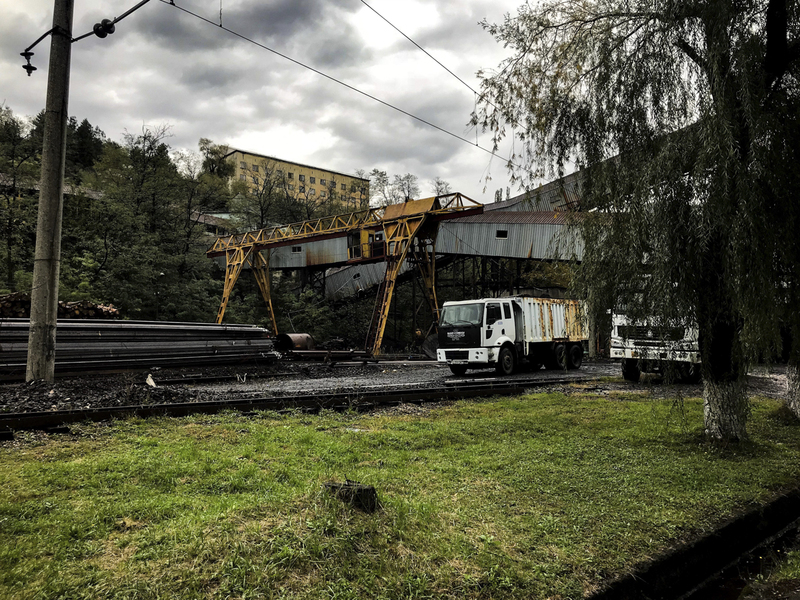 In 2015, C-Power, another GIG subsidiary, signed a $200 million deal with Dongfang Electric Corporation to build a coal-fired power plant 25 miles outside of Tbilisi in the town of Gardabani. The investment is reportedly backed by the China Silk Road Fund, a government vehicle dedicated to financing Beijing’s Belt and Road Initiative. The project was slated to break ground this year and be operational by 2020. As part of the plan, GIG said Tkibuli’s methane-rich coal would power the thermal plant and pledged to invest heavily in the mines. Activists report that the government has waved the required environmental assessment. A spokesperson for GIG told Eurasianet that the company would not comment for this story. 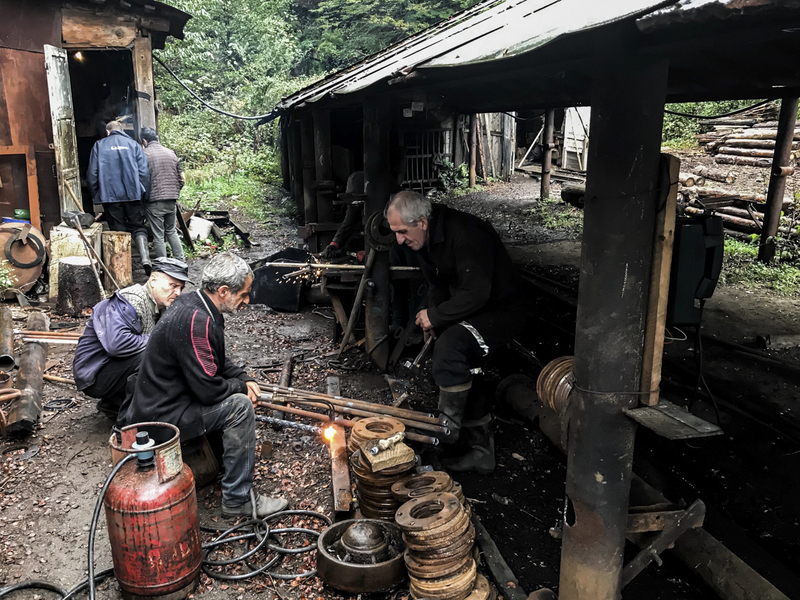 At the Dzidziguri mine, Pirus points out men with hard hats, dirty faces and grimy shirts entering the shaft, conceding, "A bit of the mine is open while it’s being fixed." Pirus poses for a photo, but others don’t want to talk or be photographed, fearing retribution from the company. Sapanadze’s son Onise, who is 30 and has been working in Dzidziguri for a decade, says he is accustomed to the dangers. He shows two large scars and burns on his right arm from a fall down below.